Few would argue against this. However, the reality of a hard border for those who do not fit a preconceived mould of 'Irishness' or 'Britishness' has existed for many years, and racial profiling is a fundamental feature of the so-called “Operation Gull” along the border, despite guarantees to the contrary under the Common Travel Area (CTA). The past twenty years has seen a steep increase of migrants being demonised in public discourse and criminalised in the law. 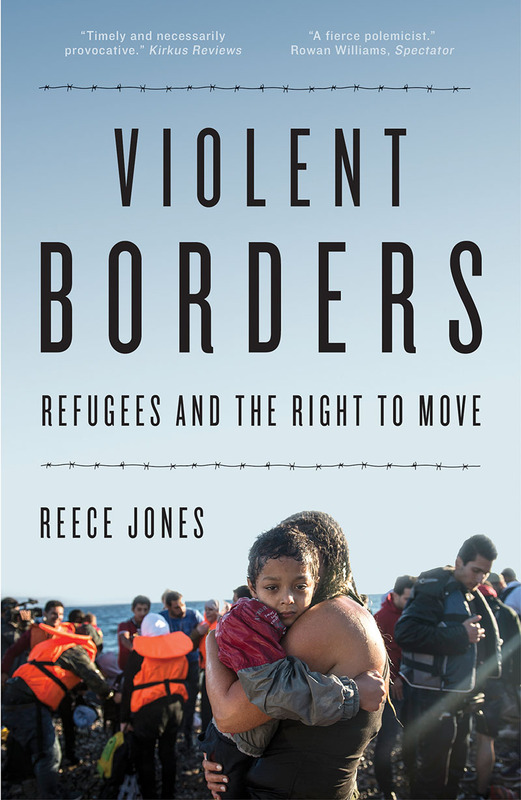 British governments of different stripes have greatly increased the powers to deprive migrants of life, liberty and happiness; have overseen a massive expansion of the indefinite immigration detention system; turned nurses, teachers, and landlords into border guards; and pursued a general hardening of borders, hearts, and minds. In pursuit of this agenda, there has been increasing reliance on the control of movement within the CTA – a special travel zone between the Republic of Ireland and the UK – with the cooperation of enforcement agencies on both sides of the border. Other than a period around WWII, there have never been routine passport controls between independent Ireland and the UK. The 1971 Immigration Act states that arrival in and departure from the UK from elsewhere in the CTA cannot be subject to (passport) control. Yet secretive immigration enforcement operations have operated along Northern Ireland’s borders since at least 2003. ‘Operation Gull’ is a joint exercise between Irish and British police and immigration forces. The stated aim is to prevent the movement of undocumented migrants across the Irish land border and the ‘sea border’ with Britain. Police and immigration officers board buses, search trains, stop private cars, and question passengers on ferries and planes. The operation is now known to involve the UK Border Agency, the Police Service NI (PSNI), and Police Scotland, as well as the Garda Síochána, and the Garda National Immigration Bureau (the Irish police, and immigration, authorities). In 2016 almost 800 people were ‘intercepted’ under Gull – a 66% increase on the year before. While there is little public information about Gull, even less is known about ‘Operation Bi-Vector’, a UK-wide counter terrorism operation run by the intelligence branch of the PSNI in the CTA. What is known is that its powers have been used 12,479 times in Northern Ireland in 2013-2016. Despite this high number of stops, in none of the cases was anyone detained for counter-terror purposes. However rather than being released, individuals were handed over to immigration authorities – thereby using emergency counter-terror laws to side-step the lack of legislated immigration checks. In any particular stop it is by no means clear which operation is being used. While little is officially acknowledged about Gull’s operating procedures, it clearly functions under serious internal contradictions. In a geographical area where routine passport controls are prohibited by UK legislation, officers are nonetheless conducting ‘non routine’, so-called ‘intelligence-led’ checks. The fact that these operations are taking place at all is troubling. Even more serious is the effect of these operations in practice. The Law Centre (NI) has previously stated that they were “concerned that individuals are being targeted on grounds of ethnicity/nationality or other discriminatory grounds,” and raised doubts about the legal basis of the operation. “do not have all of their normal powers to carry out immigration controls in respect of persons travelling within the common travel area (CTA). Several investigations have shown that in practice, officers determine ‘who should not be in the country’ primarily by targeting people who don’t match preconceived notions of what Irish or British people ‘look’ or ‘sound’ like. The Law Centre also lamented the lack of publicly available guidelines (“if there are any”); and the absence of any “independent, transparent, oversight of Operation Gull”. 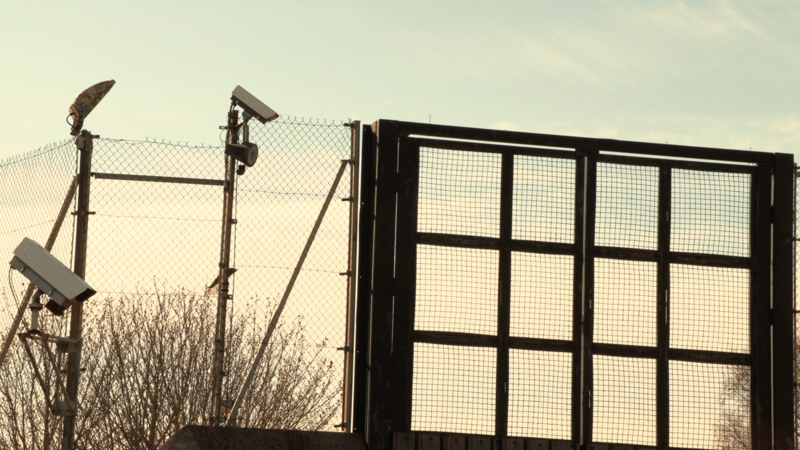 As with the government’s ‘hostile environment’ policies, in addition to the punitive action taken against undocumented migrants when they cross these allegedly non-existent borders around Northern Ireland, these operations also target all other migrants, and British and Irish people of colour. This isn’t the first time ‘intelligence’ has meant skin tone: it was reported that up to one in three people stopped by immigration enforcement teams in the UK’s biggest cities was British, which lead critics to cast doubt on official claims that such stops are ‘intelligence-led’. Prominent Glasgow human rights lawyer Aamer Anwar said “there is definitely racial profiling going on” and MP Tulip Siddiq said the “statistics reveal a system which seems arbitrary [and] unsophisticated”. In 2009, the Northern Ireland Human Rights Commission (NIHRC) released ‘Our Hidden Borders’. Their report - based on evidence gathered through interviews with senior and operational staff involved in Gull, people who had been detained, as well as on-site visits - raised ‘serious concerns’ in relation to racial profiling, unlawful detentions, and questioned the entire rationale and implementation of the operation. This ambiguity led to revealing comments, as when an officer stated that a “passengers accent was an important factor” in determining whether someone was ‘who should not be in the country’. "I don't think I could have managed to stand up in court and go through it all. We are private people. We are all very damaged by this." In 2007, the year Frank was given his apology, the Irish Times reported on the experience of a Nigerian family – also living legally in the UK and carrying the paperwork to prove it – who were travelling from Scotland to Northern Ireland. As they disembarked from the ferry, they were stopped by immigration agents at Belfast harbour. "They said they were going to deport us. I told them we had done nothing wrong. They said we were lying. Before they took him away, I spoke to my husband in my own language. They said I was not allowed to do that. I had to speak English." The father, Paul*, was detained, first in a police station, and held in Dungavel immigration detention centre in Scotland for 10 days before he was released. "Their rights are being trampled on. They are being left traumatised, angry and upset. This is meant to be the new Northern Ireland. There seems to be a deathly silence from our politicians." In late 2011 the Migrants Rights Centre Ireland (MRCI) published ‘Singled Out’, “a brief overview of ethnic profiling in Ireland and its impact on migrant workers” – including racial profiling during cross-border travel. Researchers both witnessed and heard from people about their experiences of racial profiling by police and immigration officers while crossing the north-south border. In addition to migrants from the EU and elsewhere, this included Irish women who are black and who reported being racially profiled. Irish legislation from 2004 means that anyone entering the Irish state, including by the land border, must carry a passport. However, Irish and British are exempt, raising questions about how such a law is policed. The experiences in the MRCI report clearly show that officers board the bus and choose, on the basis of race and other ethnic indicators who is Irish – and who isn’t. During one such stop, Virginia* - a black Irish woman – rightly told the officers “I’m an Irish citizen, I don’t have to show you ID”. Yet, it was not until she showed a bank card that they moved on. She said this treatment differed from that experienced by the white Irish passengers on the bus who weren’t carrying ID (nor were expected to). Jules Gnezekora, a British-Ivorian citizen, was stopped and profiled four times in eight days while travelling between his home in Northern Ireland to Scotland. He says that each time he was the only person from a black or minority ethnic background, and the only person stopped. He was questioned by immigration officers about why he was traveling to Northern Ireland and about his place of birth. In addition to the issues with racial profiling, unlawful detentions, and internal immigration controls, the Commission questioned the basis of the operation itself. The fact that individuals who only have a permission to be in one or the other jurisdiction are being detained on the suspicion that they intend to cross the border amounts to “taking punitive action against individuals before they have broken the law is unacceptable.” Officials in Irish airports can and do refuse entry to passengers with valid visas to enter the state, if they believe that the person is intending to travel on to the UK. The disconnect between public discourse and the facts on the grounds is clear. The politically intolerable idea of a hard border exists at the same time as political support for policing of the borders for those who do not fit the idea of what it means to be British or Irish. When the experiences of Frank, Paul and their families was put to Elwyn Soutter – the then Border and Immigration Agency chief inspector – he said that what happened was “an inevitable by-product” of an operation he deemed a success, adding that police and immigration officials “question everyone, but inevitably EU citizens can quickly satisfy us. It is not terribly surprising to find it is people who are black or of other ethnicities who are detained." In conflating ethnicity with nationality, Elwyn brought to the fore to a core issue with Operation Gull. He could not imagine that an EU, British or Irish citizen could be black. These enforcement operations will inevitably target race and other characteristics, and thus – whatever the law says – even British or Irish citizens will face unequal treatment if they are from an ethnic minority. This is likely to become worse after Brexit, for a larger number of people, whatever solution is reached about the border. Yet even a scenario where Brexit is reversed through a second referendum is no solution to this issue. The current operations would still be in place. And indeed, they are being strengthened. The Counter Terrorism and Border Security Bill currently passing through Westminster contains provisions that will grant powers to police and other officials to stop, search and detain anyone found within one mile of the North-South border, without the need to show any reasonable suspicion. The bill also explicitly names two train stations (the first stop on the cross border rail service) which are several miles in from the border yet fall under these powers. It is completely understandable that people in Ireland are weary about what the future will bring to journeys that, for now, many of us take for granted. In addition to trade, travel, and cross-border work, after decades of violent conflict people are rightly anxious about what a ‘hard border’ will mean, and many are determined to resist that. We need to ensure that calls for ‘no borders in Ireland’ extends to everyone we share this island with. Operation Gull targets communities of colour, violates the spirit of the Good Friday Agreement, and has no place Ireland. It’s time for Gull to go. Luke Butterly is an Irish writer living in London. His work focuses on the politics of immigration in Ireland and Britain.